Former Vice President Joe Biden (28%) and Vermont Sen. Bernie Sanders (20%) continue to hold the top slots in the large Democratic field. Harris now stands at 12% support among Democrats and Democratic-leaning independents, up from 4% in December, and the latest entrant to the field -- former Texas congressman Beto O'Rourke -- stands at 11%. 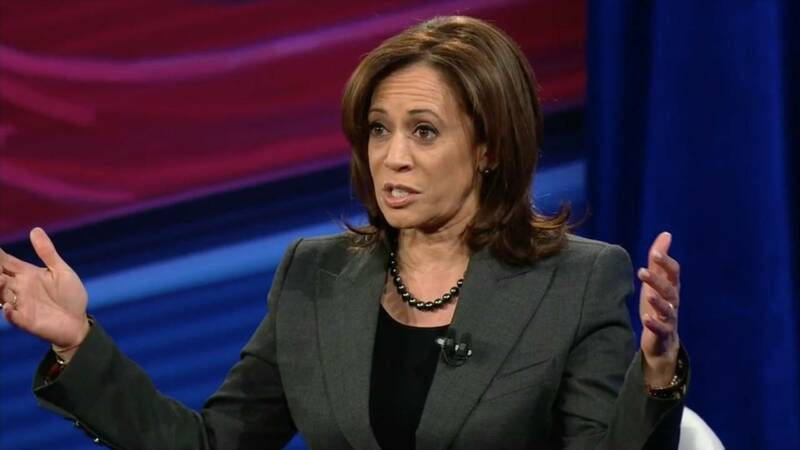 Harris's rise comes across the board -- there is no major demographic group in which she lost support since December -- but her gains are more pronounced among Democrats (+10 points) than independents (+5), liberals (+10) more than moderates or conservatives (+7), women (+9) more than men (+6), and racial and ethnic minorities (+10) more than whites (+6). The poll also finds enthusiasm about voting next year already outpaces the level seen for any presidential contest since the turn of this century. Four in 10 say they are "extremely enthusiastic" about voting for president, far outpacing early reads in other recent presidential contests. CNN first began asking this question in the 2004 election cycle, and the previous high point among registered voters was 37% just days before the 2008 election. But unlike last year's midterm elections, when Democratic enthusiasm propelled the party to a majority in the House of Representatives, the energy now is higher among Republicans. Nearly 6 in 10 self-identified Republicans (57%) say they are extremely enthusiastic about voting for president, compared with 46% among Democrats and 26% among independents. That could be because it's a little easier for a voter to get excited if they have a good sense of who their party's standard bearer will be. And Republicans are largely in sync on the president. Three-quarters (76%) of Republicans and Republican-leaning independents say the party ought to nominate Trump in 2020, a figure that has held roughly steady for the last year. Nearly 8 in 10 say the party has a better chance of winning with Trump at the helm (78%) than with someone else at the top of the ticket (17%). That's a dramatic reversal from primary season in 2015, when a majority of Republicans and Republican-leaning independents thought the party would have a better chance with another candidate leading the ticket. Almost 6 in 10 Democrats and Democratic-leaning independents, though, see their field as wide open at this point. Just 37% say that there are one or two candidates they would prefer to see win the Democratic nomination. Among those who do have favorites, the top four deepen their advantage: 33% in that group back Biden, 22% go toward Sanders, 13% each choose Harris and O'Rourke, with everyone else testing below 5%. A majority of Democratic leaners say they would rather see the party nominate a candidate with a strong chance of beating Trump (56%), while 35% say they prioritize a candidate's issue positions over electability. That preference for electability appears to work against Sanders most strongly. Among those who prefer someone who can beat Trump, Biden leads at 32%, followed by Harris at 16%, Sanders at 14% and O'Rourke at 11%. Those looking for ideological purity are more apt to favor Sanders (31% back him, vs. 21% Biden, 11% O'Rourke and 7% Harris). Asked directly whether Democrats have a better chance with Sanders at the top of the ticket or someone else facing off against Trump, 56% of Democratic leaners say the party's chances are better without Sanders. Asked the same about Biden, 51% say the party has a better shot with Biden than without him. Biden's support, for example, hits 30% among moderate and conservative Democrats. But compared with December, Biden has held about steady while O'Rourke, whose favorability rating with this group grew from 27% to 40% over the same time period, gained 5 points in the horserace. The poll also finds Democrats and Republicans have completely different issue priorities when thinking about next year's election. Among Republicans, immigration and the economy are the top two issues by far, followed by considerations about a candidate's ideology or positions on the issues generally. On the Democratic side, they're weighing a candidate's personal attributes, immigration, the economy and health care all about evenly.